You can get an additional 30% off your entire purchase at Saks Off 5th. 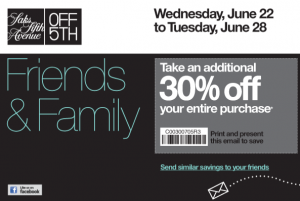 You can use this coupon until 6/28. Head over to fina a Saks Off 5th near you!